Dave White is a Principal Consultant at Depth Consulting Ltd, a Canadian based consulting firm specializing in Kanban, Agile, TFS and Software Development Craftsmenship. Dave formerly served on Management Board for Lean-Kanban University, the global standards body for The Kanban Method. He is served on the Advisory Board for LKU’s Accredited Kanban Training program during that time. He is an LKU Accredited Kanban Trainer and Kanban Coaching Professional. 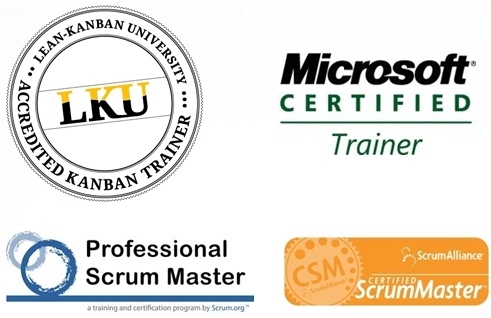 He holds numerous Microsoft certifications including Microsoft Certified Trainer. With over 15 years of experience, Dave specializes in helping organizations around the world realize their potential through maturing their software development and information technology practices. Dave is passionate about Application Lifecycle Management tooling, techniques, and mindsets and regularly teaches around the world on a wide range of ALM topics.